Virginia is for lovers, but it's also for dirty dancing. Anyone who grew up in Virginia (like me) probably remembers the state history and geography classes that taught them a thing or two about "Old Dominion" -- there are a ridiculous number of presidents who called Virginia home and there's a famous fried egg in a cavern, for example. You may have even made a trip to Foamhenge at some point. If you've ever called Virginia home, you certainly already know a few crazy and fun things about the state, but you still probably didn't know these. 1. The state's academic calendar is largely determined by amusement parks. Virginia's theme parks have ruled over the state's academic calendar since 1986, when lobbyists for the state tourism industry helped usher through a bill prohibiting public schools in the state from opening before Labor Day, ensuring that kids would never have to choose between homework and roller coasters before the first Monday of September. 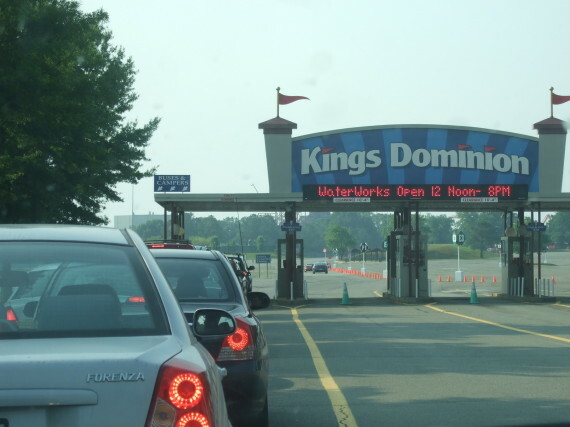 The state's governing bodies have tried to repeal what has become known as the "Kings Dominion Law" -- named after the amusement park in Doswell, Virginia -- a few times, but have so far been unsuccessful. Most recently, the state House overwhelmingly passed a reform in February 2014, which ended up failing in the state Senate. Virginia isn't the only state in which school schedules are dictated by amusement park interests: A similar Labor Day law exists in Michigan to aide its tourism industry. Maryland is also thinking about adopting a similar law. 2. Virginia claims to have actually had the "First Thanksgiving," predating the famous Plymouth feast by almost two years. The Plymouth Thanksgiving of 1621 actually came almost two years after the "very first" Thanksgiving celebration in Berkeley, Virginia, which took place on Dec. 4, 1619. This true first Thanksgiving was actually a bit different than the contemporary idea of the holiday. It was more of a religious day of prayer, it didn't involve a feast and Native Americans weren't invited. The group consisted of 38 men and was led by Captain John Woodlief, who prayed at the site. The Spanish also celebrated a few "Thanksgivings," which took place in the areas of modern-day Texas and Florida in the 16th century. And of additional note, the Smithsonian reports that the "first Thanksgiving service known to be held by Europeans in North America occurred on May 27, 1578 in Newfoundland." 3. Thousands of people watch more than 100 wild ponies swim in an event that's been taking place for almost a century. Every year, "Saltwater Cowboys" corral more than 100 wild horses in a swim from Assateague Island to Chincoteague Island in Eastern Virginia. At the island, the ponies are then paraded around and auctioned off to raise money for a local fire department. The 89th year of the swim will take place on July 30, 2014. Tens of thousands of spectators are expected to watch the ponies' trek to the island. 4. 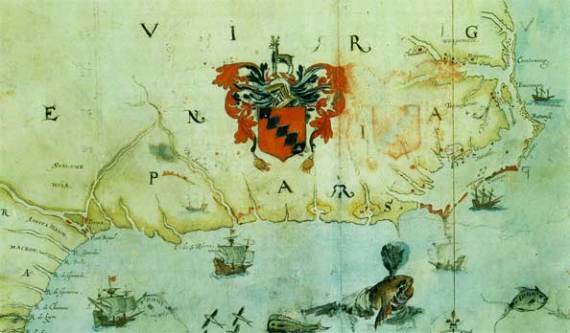 All new land the British discovered was originally called "Virginia." After the island of Roanoke and the surrounding area were discovered, Queen Elizabeth I declared in 1584 that much of what we now consider the United States (and wasn't already inhabited by "Christian People") was free range for Sir Walter Raleigh to "discover," "inhabite" and "build and fortifie" -- in other words, to colonize. This meant new British territory -- essentially everything north of Spanish territory in Florida and south of French territories in modern day Canada -- was named "Virginia," thought to have been coined by Raleigh to honor the "Virgin Queen" Elizabeth I. Eventually, the English would name separate colonies for this region, but for a short time, much of the land we now call the United States was simply "Virginia." 5. College bros were basically invented here: Virginia is the birthplace of both streaking and frats. 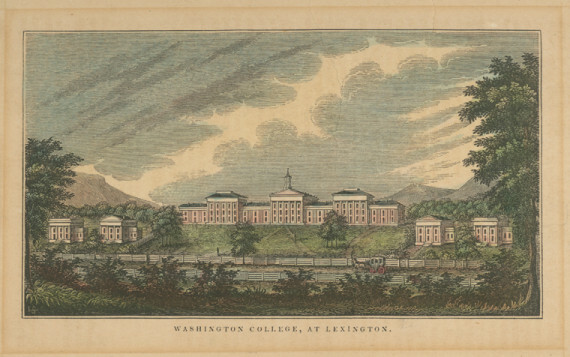 This is according to legend, but the first-ever recorded person to streak across a college campus was George William Crump, when he ran across the Washington College grounds (now Washington and Lee University) in 1804. Crump was supposedly arrested by Lexington police after the incident, but that didn't stop him from winning seats in both the Virginia House of Delegates and the 19th U.S. Congress later in his life. Virginia is also home to the first college fraternity in the United States, as Phi Beta Kappa was founded by five students at the College of William & Mary in 1776. 6. State elections were often bought with booze. Even George Washington got voters really, really drunk. Elections in colonial Virginia were often decided by how much free alcohol and food a candidate provided for voters. George Washington first learned this the hard way in 1755 when he ran for a seat in the Virginia House of Burgesses at the age of 23 and failed to offer alcohol. Sure, there could have been other factors at play, but Washington didn't even come close to winning. When Washington ran again for the same office in 1758, he was sure not to make the same mistake twice. Washington provided almost half a gallon of alcohol for each voter. Apparently, the exact amount of libations was "nearly 47 gallons of beer, more than 70 gallons of rum punch, about 34½ gallons of wine, 2 gallons of cider, and 3½ pints of brandy." Washington was actually worried this wouldn't be enough and told his campaign manager, James Wood, that “my only fear is that you spent with too sparing a hand.” Washington ended up winning this election in a landslide. 7. Northern Virginia is the Internet. Estimates suggest that anywhere from 50 to 70 percent of all Internet traffic flows through data centers located in Northern Virginia. These data centers occupy millions of square feet in the upper area of the state, where machines are whirring around the clock to make sure you can see the cutest animals of the day. 8. Nobody loves vanity license plates quite like Virginians. Virginia is for lovers of vanity plates. "Out of the 9.3 million personalized plates on the roads of America, about one in 10 are in Virginia," according to a 2007 study by The American Association of Motor Vehicle Administrators. In total, at the time of the study, 16 percent of all license plates issued in Virginia were personalized. Illinois actually holds the record for most vanity plates on the road, with about 1.3 million, though Virginia still boasts the highest rate. 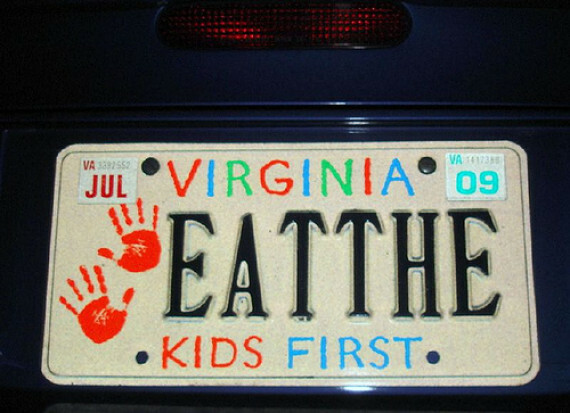 Sadly, the vanity plate pictured above is no longer on the road -- the Virginia DMV revoked it in 2009 after receiving many complaints. 9. Virginia used to have "shires." 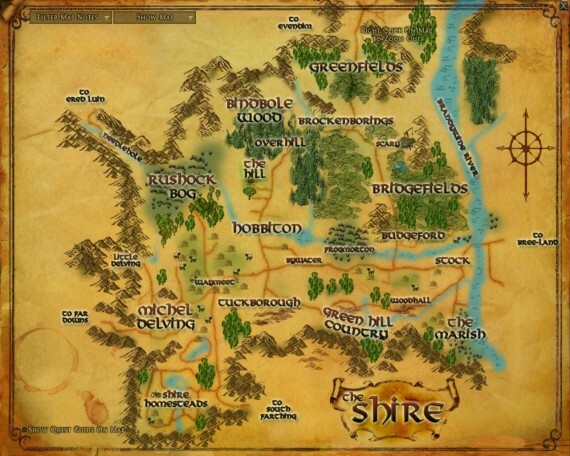 Perhaps Virginia wasn't truly a land of hobbits, but it was the only colony to be broken into shires. In 1634, the General Assembly decided the state should be divided into eight of these Tolkienian territories, named Accomac, Charles City, Charles River, Elizabeth City, Henrico, James City, Warwick River and Warrosquyoake. The shires were renamed "counties" just a few years later. 10. Virginia has its own Hercules who totally deserves a movie. As many mythical stories begin, Peter Francisco was found abandoned as a small child on a wharf in what is now Hopewell, Virginia. Legend has it he was wearing expensive clothes and claimed that he had lived in a mansion, leading some to suspect he was kidnapped nobility. Francisco ended up being raised in Virginia, where he eventually witnessed Patrick Henry's "Give me liberty or give me death" speech and grew into a Revolutionary War legend who would ultimately be remembered as the 6' 6", 260 pound "American Hercules." One of his more ridiculous feats of strength involved stealing an 1,100-pound cannon from the British and hauling it on his own back, before eluding two British soldiers by faking surrender, clubbing one off his horse and spearing the other with a bayonet. He then stole the horse, rode over to rescue a fellow soldier and killed his British captors. 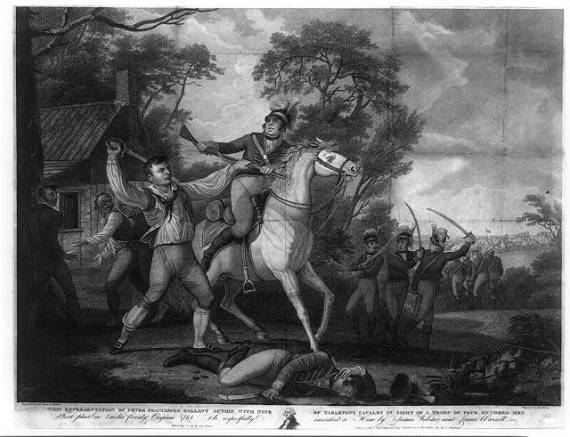 By the war's end, Francisco reportedly sustained many more wounds, killed many more British soldiers and escaped capture by killing his way out of a group of British soldiers' makeshift jail, prompting George Washington to remark, "Without him we would have lost two crucial battles, perhaps the War, and with it our freedom. He was truly a One-Man Army." 11. "Nobody puts Baby in a corner" in Virginia. The 1987 classic film "Dirty Dancing" was filmed almost entirely at the Mountain Lake Lodge in Pembroke, Virginia, and you can still make a pilgrimage to check out the iconic sites of the fictional "Kellerman's Resort." Despite falling on hard times in 2010, according to USA Today, the lodge has since been renovated and still offers a special "Dirty Dancing Package" for diehard fans. The package includes a weekend of activities, ranging from group dance lessons to karaoke where you're sure to hear "(I've Had) The Time of My Life" sung over and over again. The lodge also has a stone Patrick Swayze monument to remember the now-deceased actor. Virginia is for lovers, but did you know it's also for dirty dancing?